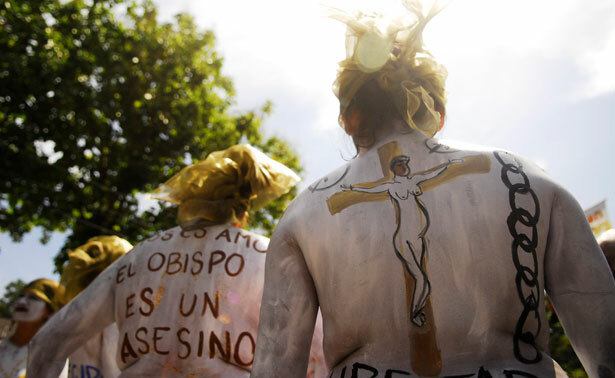 Will El Salvador’s Anti-Choice Government Let a Pregnant Woman Die? Here’s what you can do to help save Beatriz, the victim of “pro-life” orthodoxy on overdrive. Yesterday, after a long delay, El Salvador’s Supreme Court voted 4-1 to deny a young woman the abortion she needs to save her life. Beatriz, who is 22 and the mother of an infant son, is terribly sick with lupus, hypertension and kidney disease. Her doctors have said she is likely to die if forced to continue the pregnancy. The final touch: Beatriz’s fetus is anencephalic (missing most of its brain) and will not be able to survive outside the womb. If ever “right to life” was a contradiction in terms, this is that case. Jodi Jacobson has details here. Beatriz’s case has captured international attention. We need to keep the pressure on so that her life can be saved. Soon it may be too late. Why is the US military more intent on protecting its command structure than victims of sexual assault? Read Katrina vanden Heuvel’s column.